Included in the full-price ticket cost is admission to the Create-A-Puppet Workshop, where visitors can experience the thrill of puppetry by creating their own Ugly Duckling Marionette or pick up a Create-A-Puppet To-Go Kit to continue the fun at home! Investigate all kinds of puppets in the Center’s permanent museum PUPPETS: The Power of Wonder as well as three exclusive exhibits featuring the work of Jim Henson. Also, be sure to take a look at the newest items in our collection in Passports: New Arrivals from the World of Puppetry. Please visit www.puppet.org for more information on the Museum and Special Exhibits. Tickets for patrons two and older are $16.50 and include admission to the performance, Create-A-Puppet Workshop (or Create-A-Puppet To-Go Kit), and all museum exhibits. Membership and group rates are available. 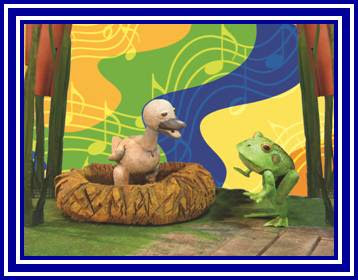 ORDER TICKETS ONLINE AT WWW.PUPPET.ORG OR CALL THE TICKET SALES OFFICE AT: 404-873-3391.